Mark holds 14 years of experience in some of London’s leading architectural practices, including Ushida Findlay, Foster and Partners, Hopkins Architects, Universal Design Studio, and Duggan Morris Architects, where he left in 2014 as Senior Associate. Over his career he has worked with private clients, developers and large, complex organisations, on projects ranging from sculptures and installations to new and existing buildings in both inner-London conservation areas and rural locations. As a practice we enjoy engagement and interaction and we believe that good design springs from a positive and active engagement with clients and end users. This philosophy is particularly embodied in the 'Child House' project where Mark led a 4 month research project involving key stakeholders at the outset of the project. A key philosophy of the practice is flexible design. We believe that buildings should be designed to accommodate the rapidly changing world and the technological and physical objects which embody it. These objects are becoming increasingly influential but constantly being reinvented in increasingly small cycles. 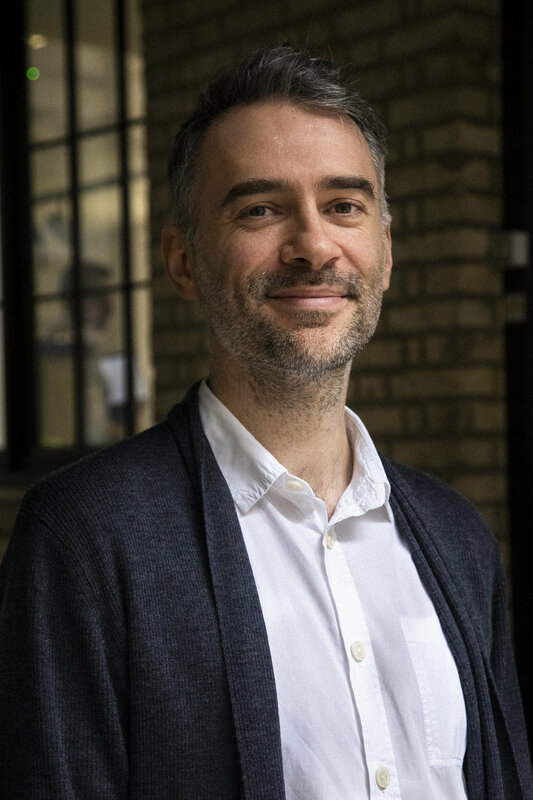 Mark was previously a member of the London Borough of Lewisham Design Review Panel, and spent time as part of a panel carrying out detailed investigations to preserve the industrial character and built heritage of Deptford Creek, following its designation as a Conservation Area. Mark has presented at several London borough Design Review Panels, and at the King’s Cross Partnership special Design Review Panel. Chair of RIBA Yorkshire Student Medals. ORTUS process models featured in Emerging Architects Exhibition as part of RIBA Open at RIBA HQ. Guest editor of the London Architecture Diary. Volunteered for Open City event ‘Open House’ as tour guide for new Zealand House 2008-11, Kings Grove 2012, and ORTUS in 2013 and 2014. Led school group in Open City ‘Open Up’ event bringing school children to engage with architecture as part of their curriculum. Participated in several ‘Green Sky Thinking Events’ hosted by Duggan Morris Architects. Participated in several workshop events for children and young people for the Sorrel Foundation as part of the Joinedupdesignforschools programme. Mark has taken part in design critique at the London School of Architecture, Bartlett School of Architecture and at The Welsh School of Architecture, Cardiff. Mark has also visited several mid- and end-of-year reviews for various tutors, including CJ Lim and Simon Heron at the Bartlett. He also moderated first-year final work at The Welsh School of Architecture, Cardiff.